I’ve started feeding the birds again now that the weathers started to change , already they’re getting through 2 seed feeders a day. While the small bids are nice to see i thought a change was needed. 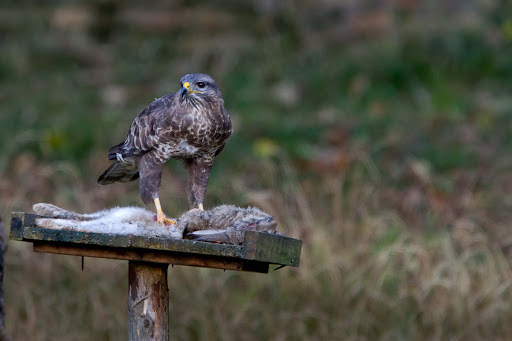 While out on saturday i picked up a road kill rabbit , i had a cunning plan to try and get Buzzards to come in and feed , Damn me it worked !!!! this was a quick shot out of the window , now i know they’ll come in – i can think about setting up some different stuff. I Had to do it ! !